WHAT IF GOD HAD SAVED JEPHTHAH'S DAUGHTER? WHAT IF GOD HAD SAVED JEPHTHAH’ S DAUGHTER’S LIFE? One of the most heart-rending and perplexing stories in the Bible is the story of Jephthah and his daughter. Jephthah was the son of Gilead and a harlot. His brothers, sons of Gilead’s wife, drove Jephthah out so as not to share their inheritance with him: “Then fled from his brothers and dwelt in the land of Tob; and worthless men banded together with and went out raiding with him” (Judges 11: 3). Some time later, the children of Ammon made war against Israel, and so the elders of Israel went to seek out to convince him to come back and lead the army against the Ammonites. Jephthah accepted the offer and became the leader of the army. Before the confrontation between the two armies took place, Jephthah made the now infamous vow: “If you will indeed deliver the people of Ammon into my hands, then it will be that whatever comes out of the doors of my house to meet me, when I return in peace from the people of Ammon, shall surely be the Lord’s and I will offer it up as a burnt offering” (Judges 11:31). God delivered Israel and gave them a great victory and “the people of Ammon were subdued before the children of Israel” (Judges 11:33). Ecstatic Jephthah returned home “with timbrel and dancing” but, unfortunately, the first person to welcome him was his only daughter. Jephthah was devastated by what he saw and “tore his clothes” and said to his daughter: “Alas, my daughter! You have brought me very low! You are among those who trouble me! For I have given my word to the Lord, and I cannot go back on it” (Judges 11: 35). Jephthah’s daughter reacted with a total spirit of submission. She simply asked her father that she be allowed to wander on the mountains for two months to bewail her virginity (Judges 11:38). At the end of the two months, “she returned to her father and he carried out his vow with her which he had vowed” (Judges 11:39). While all this was transpiring, God watched the whole story and did not intervene. This is perplexing. After all, had He not intervened with Abraham and Isaac? Is God not averse to human sacrifices? Did God not cleanse the land of Canaan of its inhabitants because, in large part, they “passed their children through the fire;” that is, they sacrificed their children to their gods? How could that same God allow Jephthah to kill his own daughter? Let’s go back to Jephthah’s original mistake. Jephthah vowed to God that he would sacrifice “anything” that would come out to welcome him, upon his return. By that he also included humans—most probably his servants. Could it be that that was the reason God allowed him to go through his excruciating experience? Jephthah’s callousness may have deserved a sobering consequence. His callousness and cruelty toward others ended up rebounding onto himself. What if God had intervened? What if God had sent an angel to stop him from his horrific act, like He did with Abraham? If He had intervened, we would have been reassured as to God’s seeming kindness and forgiveness, but what would have happened to Jephthah? What would have happened within Israel? What effect would it have had on the multitudes that would have read or heard about it later on? We can speculate that if Jephthah would not have been consequenced, he might have remained hasty and foolish. Israel would have had a written record that God overlooks foolishness all too easily. Oaths are promises made before God, and they must not be made hastily. The book of Deuteronomy emphasizes the seriousness of making vows to God: “When you make a vow to the Lord your God, you shall not delay to pay it; for the Lord your God surely will require it of you, and it would be sin to you” (Deut. 23:21). If God had intervened the seriousness of the event would have been emphasized. The fact that oaths must not be taken lightly would not have been stressed, nor the reality that foolishness has a way of bringing about disastrous consequences. 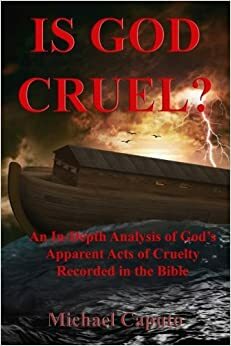 Therefore what appears to have been an incomprehensible act of callousness on God’s part once again shows much wisdom and justice on His part, as do all of His actions.